If you were born with your SUN in PISCES, you are a creative, intuitive and compassionate soul.? You have a strong ability to empathize with others and freely share your love and support.? If you?re not careful, your energy can be drained by over-extending yourself to others.? Being aware of your boundaries is helpful for you to stay in balance. Having a naturally artistic and creative nature, you may prefer to express yourself through music, art or just sending out loving ?vibes.?? It can sometimes be difficult for you to put your deep feelings into words.? You have a spiritual nature that can compel you to spend contemplative time alone in order to connect with your Higher Power. ?This is necessary for you to re-charge your solar battery. The year of 2015 promises to be a year of opportunity for professional advancement and/or public recognition.? This is a good year to keep building on past efforts and nurture your inner strengths.? Your strength rests in staying in touch with your natural connection with spiritual influences for the energy you need to progress. ?It?s an auspicious period for your work life and money-making ventures.? Your creative ideas can really catch fire this year and propel you towards success. That?s not to say there won?t be challenges.? In fact, some of your greatest opportunities may arise out of a challenging situation.? For most of the year, one-on-one relationships and emotional intimacy will be a strong theme.? From mid-November to the end of the year, you may feel a shift in your partnerships that helps you to address practical matters more efficiently. PLUTO in Capricorn continues to sextile your Sun in 2015 which can provide you the perseverance you need to achieve your goals.? You may find the most success when you make yourself accountable to someone else.? Working in groups (or with a friend) can offer you the structure you need to stay on task and provide you with a supportive community.? When it comes to lofty ambitions, you couldn?t ask for a better ally than Pluto in Capricorn. Pluto sextiling your Pisces Sun lends you the opportunity to increase your power in all ways: physically, emotionally and mentally.? It will be up to you to take advantage of the opportunity. This is a great transit to access the discipline and strength required to succeed in whatever area is important to you. If you were born March 3 ? March 6, of any year, you will feel the most drive to go for your bigger life goals.? As you move towards fulfilling your potential, you can find that you are leaving self-defeating habits and relationships behind. URANUS in Aries will continue to square Pluto all year as the energy of revolution gains momentum worldwide. ?This energy can help you to break free from limitations and you may find that you are able to transform more easily than some of your peers.? Being a team player is a big theme for you this year.? However, when it comes to earning and handling money, you may find yourself in a leadership position. This year you will have the ability to innovate some exciting ideas and the charisma to attract support from others.? You?ll likely find the most financial success when you are given the freedom to experiment and do things your own unique way.? Pisceans born March 3 ? March 11, of any year, will feel the most desire to initiate innovations that secure their financial future. NEPTUNE, your planetary ruler, continues to travel through your Sun Sign in 2015.? This can offer you a peaceful state of mind and you may feel more connected to your Higher Power.? You?ll be able to offer calm, healing energies to yourself and others.? You will feel even more intuitive than usual and tuned in to the people around you. With such heightened sensitivity, you could feel overwhelmed at times and be tempted to withdraw from others.? It will be helpful to set a balanced schedule that enables you to keep up with your daily obligations and simultaneously allows you the time you need to renew. Neptune conjoining your Sun can bring confusion ? a kind of ?foggy? feeling ? as you become less certain of where you want to direct your creative energy.? Sometimes the best strategy is to embrace confusion as it can be a prelude to a higher order.? This is one of those times for you.? Your values are changing and some of your old ways of responding to life are dissolving, making way for a new order to emerge from within you.? Pisces who were born February 24 – February 28, of any year, will feel the strongest influence from Neptune. 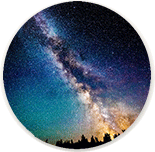 SATURN will be in Sagittarius, squaring your Sun, for most of 2015.? This transit can serve as a test to identify areas of your life that need your time and energy.? Amidst the successes, this will be a year to grow and learn how to gain more power over your destiny.? There is an emphasis on your professional life and/or public image. It?s possible that you will experience a challenge that helps you to orient yourself in a new direction.? You may identify new goals and discover what it takes to achieve them.? You can rest assured that any hard work put towards your ambitions will be rewarded, though it could take some time.? Those Pisceans born February 19 ? March 2, of any year, will feel the most pressure to expand their professional horizons. From mid-June to mid-September, Saturn will Retrograde back into Scorpio and your 9th Solar House, trining your Sun.? You may revisit themes from last year and have the chance to address any unfinished business.? It?s an especially good time to take a class or training program to attain the skills you need to achieve a goal. JUPITER will be in Leo and your solar 6th Solar House through August 11, bringing good luck and opportunity to your work life and health.? You?ll have plenty of energy to work on your projects.? Your creativity will be highlighted and it?s a great time to let your talents shine and be seen by others.? From August 12 through the end of the year, Jupiter will be in Virgo, opposing your Sun.? This can put the focus on your partnerships and offer the chance to improve how you relate to others. It?s a fortunate time for both new and existing relationships.? By incorporating healthy habits ? an improved diet and regular exercise – into your daily routine, you can enhance your ability to partner with others.? Pisceans born February 19 ? March 14, of any year, will feel the most luck and opportunity in their relationships during the second half of 2015. Look for ways to stretch your abilities through learning a new skill and being willing to take on more responsibility for creating the successes you would like.? You?ll experience the most satisfaction when you commit to a plan that allows you to develop through consistent effort. You?re slated for some good luck when it comes to both jobs and relationships, but to make the most of these opportunities, you?ll need to put in some honest hard work.? Stay in touch with your vision of the way you would like things to be and you?ll have plenty of energy to create the results you want.? Your natural creativity will be a huge asset towards any endeavor and the more you can let go of old self-defeating habits, the better. Your biggest opportunities this year are those that require an investment of time and energy. ?You may need to focus more attention on letting others know where you stand and how you are feeling about things, in spite of your innate gentleness and not wanting to hurt the other person.? Good relationships are based on both people sharing what their preferences are. Your intuition is even stronger than usual this year and your awareness of others? needs can help you to create strong cooperation in partnerships. ?Be willing to try new ways of doing things.? In 2015, you?ll have the ability to find the right people and situations to advance your ambitions. For much of the year, you?ll be working on partnership skills that can help you to be more open and honest in your intimate relationships.? You?ll be supported in efforts to have deeper, more meaningful interactions with others by using diplomacy skills to navigate difficult topics.? Again, your awareness of what the other person says they need in the situation can be key to your success.? From mid-November on, the emphasis will be on practical matters and organizing your life in a way that integrates your various needs so that you can experience fulfillment in your daily life. There is no denying the amount of turmoil that has been occurring in our personal lives, our communities, and our world over the past few years. ?It is a time of rapid, radical changes that test the very foundations of what we rely on for order in our world. In 2015 we are just beyond two-thirds through this difficult cycle and it behooves us to take another ?big picture? look at what?s going on. ?Astrologically, this period is marked by Uranus in Aries squaring Pluto in Capricorn.? The cycle began in full force in May 2010 and lasts until May 2018.? Because both planets travel periodically in direct and retrograde motion (forward and backward), sometimes the square between these two heavenly bodies becomes closer, more exact, and more tumultuous.? Thus, during this eight year period, there will be times of greater and lesser intensity.? The year ahead, 2015, is one of the years of greater intensity.